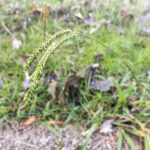 There are several different varieties of common lawn weeds, and each of them have different structures. 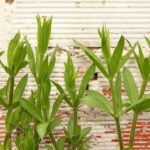 To remove weeds effectively, you have know how these structures work and how to reliably remove them entirely. If you don’t, it’s all-too-easy for weeds to regrow quickly and continue to choke your lawn. 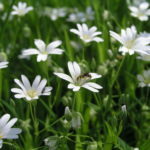 There are two main categories of common lawn weeds: grassy weeds and flowering weeds. Here are the most common lawn weeds in each of these categories, and how to remove them properly. 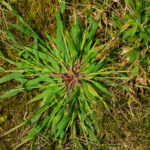 Crabgrass is a summer annual weed that’s one of the most common and pervasive pest plants in the US. 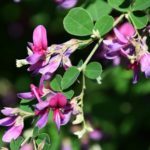 It can wreak havoc on thin, under-fertilized, and poorly drained lawns and gardens. As crabgrass stems get larger, they lie on the ground and begin to grow in a star pattern. 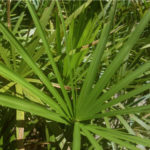 This pattern is the easiest way to identify the plant. Crabgrass produces seeds from mid-summer to fall and dies during the first frost. To rid your lawn of crabgrass, use pre-emergent herbicides to kill the seeds. Goosegrass is an annual that grows as a compressed plant in dry areas where turf grasses has thinned. It germinates later in spring than crabgrass and tolerates close mowing. Its strong, extended root network prevents it from being pulled up easily and thoroughly. Use a post-emergence herbicide to control it properly. This is a warm-season perennial that suffers during cold winters. As the soil warms, however, germination begins and heavy infestations return in July and August. Overwatering can also bring out Nutsedge. Early detection is crucial for proper control. General weed killers will not work against sedges; you will need sedge-specific herbicide after an infestation begins. Lawns in the Southeast often face this summer perennial. Dallis grass grows in large, shallow-rooted clumps. It thrives in sandy or clay soils, where it will grow twice as fast as regular turf grasses. We suggest pre-emergent control to manage dallis grass. Common and persistent, the dandelion produces thousands of weed seeds that disseminate through the air. 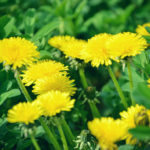 Broadleaf weed killers will kill dandelions effectively, but be careful not to damage other plants. If you would rather not use weed killer, pull up the dandelions by hand. When you pull out a dandelion, make sure you pull out the whole root system. Grip the dandelion from the base and pull slowly and steadily. Common chickweed is a winter annual broadleaf plant. It thrives under cool, wet conditions. It rarely tolerates the hot, dry conditions that occur in late spring or early summer. For control of chickweed, use pre-emergent herbicides. 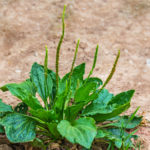 The plantain is a common broadleaf weed found in lawns. It is a cool-season perennial found in a wide variety of habitats. The leaves and stems range from purplish to dark green and may be smooth or covered in short hair. Either pull them up or use post-emergence herbicides in mid-autumn to control plantains. Apply a 2 to 3″ layer of mulch to ornamental bed areas to suppress germinating weed seeds. 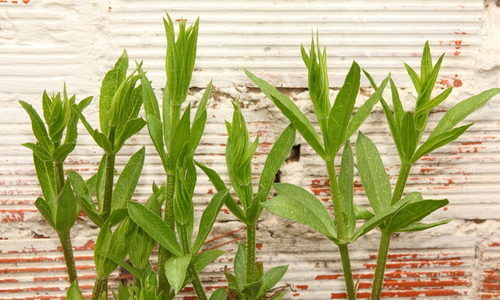 Since arriving in North America, Japanese Clover has spread aggressively. It’s a ground-hugging summer annual that can displace desirable vegetation if it’s not properly managed. It flowers pink and purple in mid to late summer. Use post-emergence herbicides to control its spread. Contact Gregory today using the form below and we’ll work with you to develop a custom plan to address the common lawn issues you face and keep your greenery weed free.